To paraphrase the former Labour Prime Minister, Harold Wilson, a few days in politics is a long time. On Wednesday, the UK government formally triggered Article 50 of the Lisbon Treaty, beginning the nation’s exit of the European Union (EU). A letter signed by the current UK Prime Minister, Theresa May, was handed to the EU president, Donald Tusk, at 12.30pm. On Tuesday, the Scottish Parliament voted to hold a second, Brexit induced, independence referendum, with First Minister, Nicola Sturgeon, sending her own letter to the UK government to formally request the powers to do it, set to arrive today. Within hours of Article 50 being triggered, voices in the EU were claiming that linking security to any future trade deal between the EU and UK, amounted to blackmail. The UK government was quick to issue a counter claim, that the letter had been ‘misinterpreted.’ It is easy to see why the EU would interpret it the way they did, as the UK has got form on this, saying in the past the Royal Navy may discontinue patrols in the Mediterranean, which are intended to intercept illegal immigrant boats. On Thursday, the Brexit Secretary of State, David Davis, introduced the ‘Great Repeal Bill’ to Parliament. The government wants to use executive powers, dating back to the reign of Henry VIII, under the 1539 Statute of Proclamations which allows the sovereign to bypass Parliament and amend legislation by dictak. This power is now only technically held by the sovereign, in practice ministers will apply it. “You can be sure that when these Henry VIII clauses are introduced they will always be said to be necessary. William Pitt warned us how to treat such a plea with disdain. "Necessity is the justification for every infringement of human liberty: it is the argument of tyrants, the creed of slaves." Davis also admitted that immigration to the UK after Brexit, may need to go UP, to fill essential vacancies in the economy. The leave voters will be dismayed by this, I would imagine, but it does follow all of the lies we were told during the referendum campaign by the leavers. An extra £350 million a week for the NHS, post Brexit, UKIP’s tawdry anti-immigration poster ‘bursting point’ and the rest. Today, the EU confirmed that no discussion of trade agreements between the EU and UK will take place until agreement is reached on the status of EU nationals in the UK and UK nationals living in the EU, security cooperation and the UK honouring financial commitments made whilst a member of the EU. All perfectly reasonable, in my opinion. The UK government should make agreements on these issues straight away, as it is fair and sensible, and then we can get on with dealing with trade issues. So, it looks like they will have to think again, if they want to achieve a decent trade deal in good time. And this is the rub really, for months we have been told that the EU will roll over to our demands, because we are so important, and the EU will not want to upset us. Well, from what we have seen this week so far, that is a pipe dream. These negotiations are going to be tough, and we haven’t done ourselves any favours by our arrogant attitude to Brexit, which has pandered to the Daily Mail and the frothing at the mouth Tory Brexiteers. We need cooperation, not conflict with the EU, if we are to do a half decent job of Brexit. 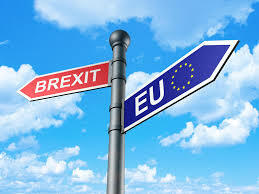 The Guardian reports that one senior European diplomat based in the UK said: “My worry is that there are people in London and in Europe who do not want the talks to succeed. They want them to break down quickly”. The Guardian also reports today that the EU will allow Spain to exclude Gibraltar from any transitional single market access arrangement or future trade deal with the UK if it is not satisfied with the status of the territory. Meanwhile, a poll of Londoners in the Evening Standard this week shows by three-to-one margin (45 - 15) they think London will be economically worse off. Almost half, 48 per cent, think Britain will be worse off as a whole. Not the best of starts to the Brexit process, then. I’m braced for the right wing media’s denunciation of ‘Johnny foreigner’ in the upcoming two years of negotiations, but it will not be pretty. As each day goes by, I feel more ashamed to be English. Will it get worse? Almost certainly. William Morris - The First Green Socialist?